Home loan expertise to help pay for your home renovations. So you’ve decided to renovate but undoubtedly have a lot of questions about how to fund it. 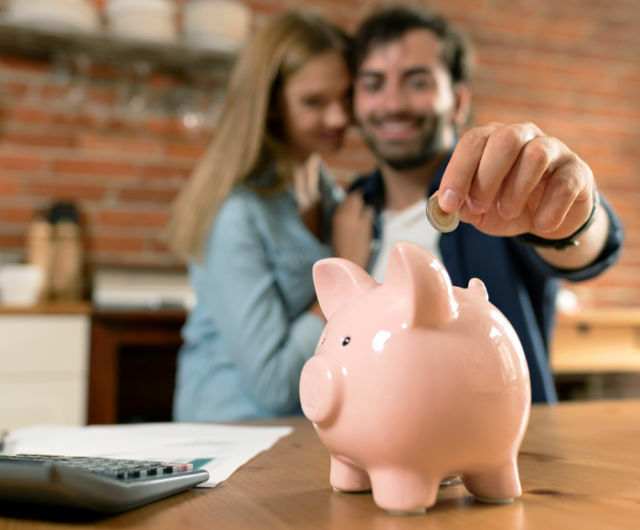 You might be wondering how much you can spend, what you can afford to repay, whether the bank lends you enough to pay for your renovation and how you pay the builder. We’re here to give you all the answers and guide you through the process to get a successful outcome. 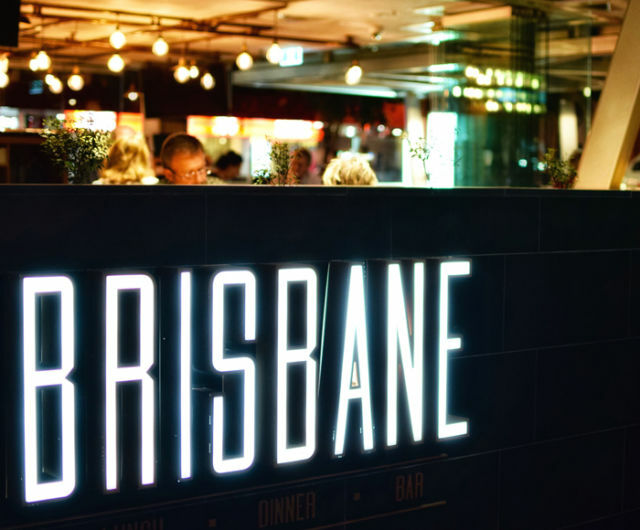 We have helped clients finance renovations of all sizes, from large projects like lifting a Queenslander and adding new rooms underneath, through to small renovations like adding a back deck or upgrading the kitchen. The most common approach to finance your renovation is to get an increase or top up on your current home loan. Whichever approach we take, we will ensure you get the right loan and that it’s set up properly from the start. We will show you how to get your finances ready to apply for a loan and advise you how to manage your budget through the renovation. We have long term relationships with all major lenders and with our expertise in banking policy, you can feel confident that we have a good chance of getting your renovation loan approved. Best of all, we don’t charge you a fee to use our services as we are paid by the lender when your home loan settles. Spend at least six months to a year living in the house before you renovate so you get a feel for it. If you’re moving out during the renovation, make sure you have a buffer saved to pay rent as well as loan repayments. Your loan repayments are ‘interest only’ (i.e. lower) during the renovation to help you manage cash your flow. 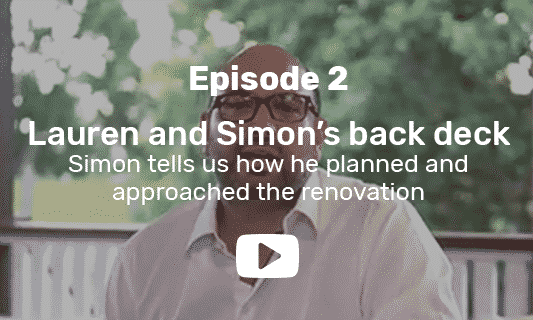 Here’s our simple process to get a renovation loan. The first step is to work out whether the bank will lend you the money to finance your renovation. It’s a good idea to get this done early on before you get too far down the track with planning. 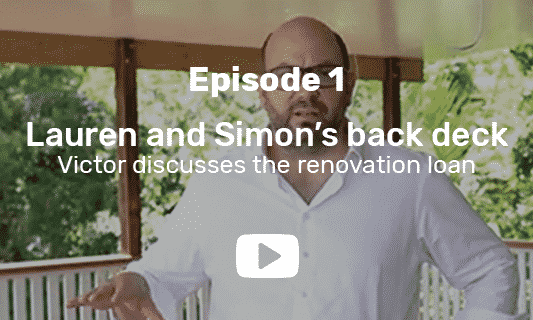 We will answer all your questions such as: how much you can spend on your renovation, what you can afford to repay and whether the bank will lend you the extra funds. We’ll talk about budgeting and how to manage paying rent (if you’re moving out during the renovation) and loan repayments while your renovation is being built. You will need to need to look at options and designs from different tradespeople to get an idea of what you like. Good choice of design and planning upfront makes a big difference to how happy you are with the finished renovation. Get detailed quotes from the tradespeople whom you’ve decided to work with and consider getting several quotes to compare. The more detail you can include the better, as it helps you to get a better home valuation and it also means there is less confusion between you and the tradespeople. After choosing your tradespeople, you may need to pay them an initial, non-refundable deposit from your own savings. What happens next depends on the scale of your renovation. If you’re doing a large renovation, the tradespeople will then draw up your plans and a building contract. The building contract itemises what is included in the build. Changes to the contract are known as ‘Variations’ and these are some of the individual touches for your home. This is where it all comes together! You will need to complete our simple online fact find and upload your supporting paperwork like payslips, bank statements, contracts and quotes so we can understand your financial situation in detail. Once our research is done, we’ll meet face to face to discuss your renovation loan options. There are two main approaches we can take: stay with your current lender or refinance to another lender. Whichever we choose will be based on your personal situation. It’s important you understand how your loan works and how to manage your money through the renovation so you can relax feeling confident that you are staying within your budget. Once you’ve signed the application, we will handle all the fine print and get it submitted to the lender. Waiting for loan approval can be nerve-wracking as it can take from two-to-five business days. We will follow up with the lender regularly and keep you updated. Our expertise in getting renovation loans approved means you can feel reassured you’re in good hands. Once the loan is approved, you will need to talk to your tradespeople about who needs to be paid when and what to get started. If you are doing a small renovation like a deck or bathroom, it’s common to pay up to 50% immediately, but if you are doing a large renovation, you will need to pay the balance of a 5% deposit. Both may be funded drawing down on your renovation loan. At this stage, you will need to start making loan repayments. Your renovation can now get underway! The stages to get the work done will depend entirely on the size of your renovation. If you are doing a larger renovation, you will make payments to the tradespeople as they reach certain milestones. This is where you draw down on your renovation loan to pay for the work done. Victor and his team have been helping my wife and I for around 7 years. He impressed us from the start by flying up to Rockhampton to meet us and help to structure our loans and lending so that we could buy our dream block of land. The service continued throughout the years with Victor always approachable, friendly and willing to go the extra mile for his clients. An example of this is Victor meeting us at the airport at around 9pm at night so we could get all the documents signed to allow us to settle a property ASAP. The great thing about Victor and his team is that you don't just become a number and fade into the background after a few years. Victor always returns phone calls and has your information to hand when talking to his clients. We are now in our dream home and Victor is still helping us get the best deal possible in regards to lending, combined with great advice on how to structure the loans to get the most out of every dollar. So if you want great service and honest advice then Victor and the team at Blackk are the people for you. Victor was very helpful from the day we contacted him just to get general information about buying a house. He is very knowledgeable and was always very patient answering all our questions. Victor and his amazing team provided support along the way and after we purchased our house. I would definitely recommend Blackk Finance to all my friends and family!! As 1st home buyers Victor made our life easy by telling us exactly what we had to do to buy a house.... We followed his guidelines and magic happened.... Amazing service !!!!!!!! Victor is extremely approachable, friendly and professional. He instills a confidence in you that he is genuinely making suggestions based solely on your best interests.We felt very looked after by Victor and truly wondered why anyone would even bother looking for finance on their own.Even when freak complications arose, Victor worked very hard to both rectify the situation and continually communicate with us about it.I would wholeheartedly recommend that anybody looking for a home loan speak with Victor immediately. Amazing company and people, Victor is fantastic. You can tell these guys genuinely care, they have foresight in every instance and have answered your question before you even ask it. Thanks for your guidance and expertise, you made the entire process (through a difficult time) incredibly easy! Sincere thanks! As first home buyers we have so many questions and Victor was able to take the time to concisely explain everything. Was recommended by a friend and would definitely recommend to others! Victor provided amazing service for my home loan. Couldn't recommend Blackk finance enough. We engaged Victor after a recommendation from a friend and were not disappointed! Victor sat with us and helped work out the best situation for us very early on including getting pre-approval. Through the buying process he helped with property reports as we were looking at various properties to ensure we made the best buy possible. Being a business owner, finance is always more complex however Victor found us a bank that can work with us on this, and he had the loan approved, done and dusted in record time as this was important to secure the property and go unconditional. He also helped us with further valuations and refinancing for further work to the property which has been fantastic. The team at Blackk Finance has gone above and beyond to guide us to the best outcome we could hope for! Thank you Victor and the Blackk Finance team!!! Our situation was a little more difficult than most, we had a combination of it being our first property purchase, self employed and that we were buying the property we were currently renting so there was no sales agent involved to help with certain details. Victor and his team were absolutely brilliant. From the first conversation to the conclusion they made the process extremely easy to understand, follow and be informed. I had previously spoken to a number of brokers before Blackk Finance, at that time we only had a small deposit, other brokers were keen to do the deal and encouraged us to take big risks to make it happen at that time without being clear of the consequences. My first chat with Victor was simple . "Save more " So we did, got back in touch with him down the track and he exceeded our expectations with a higher deposit loan and thus lower interest. If other brokers are soldiers, Victor is a Navy SEAL . His communication is always clear, precise and professional. He knows his profession extremely well and he will make sure that you get a good deal and that you are making solid financial decision. Special thanks to Debbie as well for her efforts, extremely helpfull. This was our fourth time buying a home but our first time using a financial advisor. We did not expect the process to be easy as we are used to doing things a certain way and we had a billion questions. We were so wrong. Victor validated and answered every single one of those billion questions and gave us confidence that what we wanted to achieve with purchasing our first investment property could be achieved... Then he made it happen. He and his team personalised every meeting we had with him and then went to work finding a finance package that suited us PERFECTLY. Thanks Blackk finance. Who knew buying a home would be so enjoyable and easily thanks to you. We are so very grateful for the time and personal attention you took to making this so enjoyable and perfect for our needs. Victor, Glen and Debbie had to work extra hard to find and secure a loan for me. I know that I would not currently be a property owner without their attention to detail and their willingness to go the extra mile. Thanks very much guys. Words cannot express how much I appreciate what you've done for me. Highly recommended Vicror and his team they make buying a house easy and simple especially since it was our first home couldn't have done it without them. Can't speak highly enough of Victor! Kat and I wouldn't be in our own place today without him. He was always available to provide us with advice and guidance when we needed it including weekends. We will definitely be going back to Victor and his team for any of our future finance needs! Victor was the first & last mortgage broker we visited while looking for a broker. We explained our financial situation and Victor advised on various approaches in a simple easy to understand manner. Our visits & phone calls were helpful & professional throughout. At times my partner and I thought we were his only client due to his response rate! Highly recommended. Unbelievably exceptional service from Victor Kalinowski and the whole team! Victor and his team are amazing. They went above and beyond. Took their time and explained everything. Would recommend him to everyone. Thanks for everything team. Victor was brilliant from the get go! Meeting us on a Friday afternoon when many would have knocked off, he sat down and took us through the steps for securing our first property. He took into account everything we needed and provided us with a great loan. He did everything promptly and kept us update to date throughout the entire process even when we were overseas. We would definitely use Blackk Finance and Victor again and would recommend to anyone looking for a mortgage broker. Victor, thank you so much for your caring and professional attitude. Right from the first time that we caught up with you (when you actually took the trouble to fly from Brisbane to meet us in Shepparton, to help make our interstate move smooth and problem free) and to this day, we have always felt supported. We know that we can always depend on your knowledge & expertise in financial matters to advice us in future too. Thanks a ton. Great work. We were given an opportunity to purchase the house we were renting. I contacted Victor as he was recommended by a real estate agent who said "Victor can pull off amazing things". I could not be happier. I can confidently recommend him. Victor has communicated every step of the way he always answered any of our questions quickly and thoroughly. He has been on top of everything and is very knowledgeable. I would not hesitate to recommend him. Thank you so much Victor. During my first discussion with Victor I knew that he was the broker for us. He is clearly very passionate about property investing and smart financial structuring. Victor and the Blackk team are also incredibly authentic in their desire to not only assist my husband and I purchase our first investment property but to consider future investment goals. Victor is giving of his time and met us where we were at whilst generously imparting his knowledge and expertise I have to also give a special mention to the ever professional and gracious Jacquie. She made herself so available to us, explaining things, replying to emails and texts in record speed and sending reassuring texts at the eleventh hour. Not to mention, doing paperwork in the carpark when my child was sick in car. I highly recommend Victor and Jacquie and will definitely be seeing them again in the near future with the next buy! Victor and the team at Blackk Finance are AMAZING! I have never felt so confident in someone I had only just met direct me in such a massive decision in my life. Victor was clear with everything required of my partner and I as we went down the road of buying our first home and I could not recommend any better! When we would visit his office after work, there was cold drinks waiting and he never failed to make my kids feel as though they were involved in the process as we sat for a couple of hours going through the paperwork it never felt like a chore!THANKS AGAIN VICTOR AND THE TEAM AT BLACKK FINANCE! Blackk Finance provide a professional and valuable service that has helped my wife and I purchase our first townhouse and house with minimal hassle and made a very daunting process simple and easy to understand. Well worth having a chat to Victor and the team if you are considering buying property. Victor thank you for making the finance aspect of investing so trouble free. Your passion for excellence is so evident in all our dealings with you and your team. I cannot speak highly enough of Blackk Finance. Victor really listened to us and got us a great deal on the package best suited to us, when refinancing our home loan. Even when we went away and more or less forgot about it, Victor was on the ball and always keeping the line of communication open. No question was too hard/annoying for him. I could go on, but you get my drift. Love your work, Victor! I highly recommend Victor and the team at Blackk Finance. Victor went over and above in helping us buying our new House. We had an extremely tight window of time to sort out our finance and Victor was amazing at helping us expedite the process. We also got a great deal on interest rates as well as some fantastic banking options that work specifically for us and our situation. If you need a mortgage, or are thinking of refinancing, look no further than Victor and the team at Blackk Finance. Thank you so much Victor! We finally got our first home! We couldn't have done it without you! You went way beyond any duty with all our questions and frantic phone calls at odd hours. We would not hesitate to recommend you to all our family and friends! Can't wait for you to see our house in person!!! !Highly highly recommended!!!!!!!! !Sandrine Balaye and Jared Pukallus Thank you again for holding our hand through all of this! Victor knows his stuff!! Wouldn't be where I am today without this legend!! Highly recommended. These guys are great. Patient and precise with everything they do. Victor can make even the most complicated finance jargon sound like plain English. Highly recommend them!!! Victor is the epitomy of patience!! He is so very precise in explaining so clearly any query that I threw his way which was many, and at any time of the day or evening even!! Blackk Finance have looked after both myself and now my daughter and her partner with such a wide range of finance issues. I know I would never have achieved what I have with my investment properties without Victor's advice and guidance. And he's such a nice bloke as well. Cheers Victor!! !Blackk finance helped Kely and me a lot more than the finance support.Explaining every step and making us more confident, Victor kept us up to date with everything.Highly recommended from us. I would like to thank the Blackk Finance for everything done to us. Victor explained and helped us a lot. As a first home buyers we had no questions without answers. It was beyond our expectation. Thank you very much. THANK YOU to Victor and Glen of Blackk Finance. Never have we dealt with finance gurus such as these guys. No task was too hard, no phone call was unanswered, no email was not replied to. Communication, perseverance and persistence got us there. After a restructure of finances, we have managed to increase our property portfolio. Can never thank you enough guys. You'd be mad to go anywhere else! Blackk finance are fantastic!!! They helped us get a mortgage for our first home!! We are so very grateful for their help. It would have been a lot more difficult without their assistance.. Also explained each step of the way, without us getting confused at all. Thanks again! Looking for guidance before you get started?